I am starting a new segment entitled “Forever Features” dedicated solely to my readers. Here you will be able to share your own hair stories, struggles, and successes. Are You Natural? Transitioning? Recently Big Chopped? A Seasoned Natural Vet? Or Just A Dope Naturalista With A Killer Style?!?!? 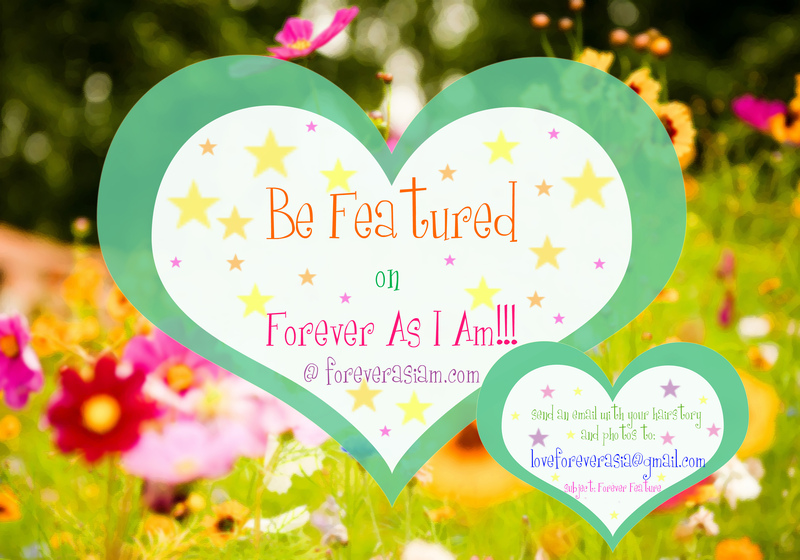 Forever As I Am Wants To Feature YOU!!! Send me an email to: loveforeverasia@gmail.com , subject: Forever Feature. *note: you don’t have to answer them all if you don’t want, only share what you feel comfortable sharing. Haircare routine? Type? Starting length? Current length? Goal length? I appreciate all submissions and look forward to featuring you wonderful people my site. What a great idea! We’ll be able to see here many other hair types and help each other with the struggle 😀 I’ll send you my hair story for sure!